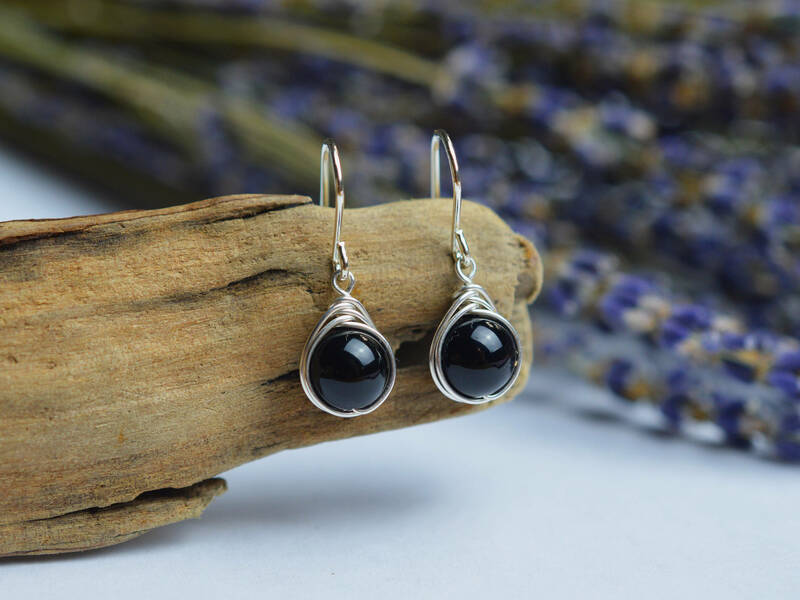 Black Onyx Drop gemstone earrings, wire wrapped with sterling silver wire. The earrings have been made using an 8mm gemstone bead, along with 0.8mm wire which is the standard size for ear piercings. 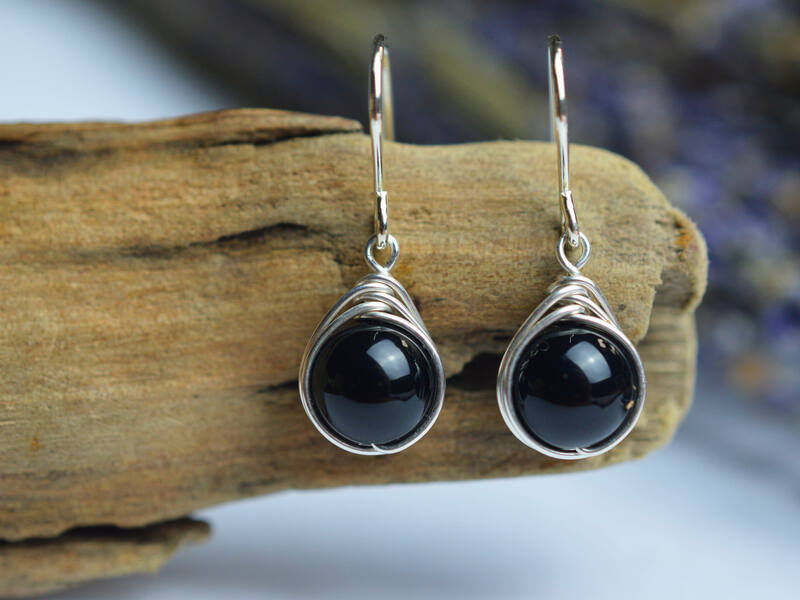 Black Onyx is a strong protective stone, worn by people of old to ward of physical and mental negative energies and attacks. It is also used to increase self confidence and provide balance for decision making. 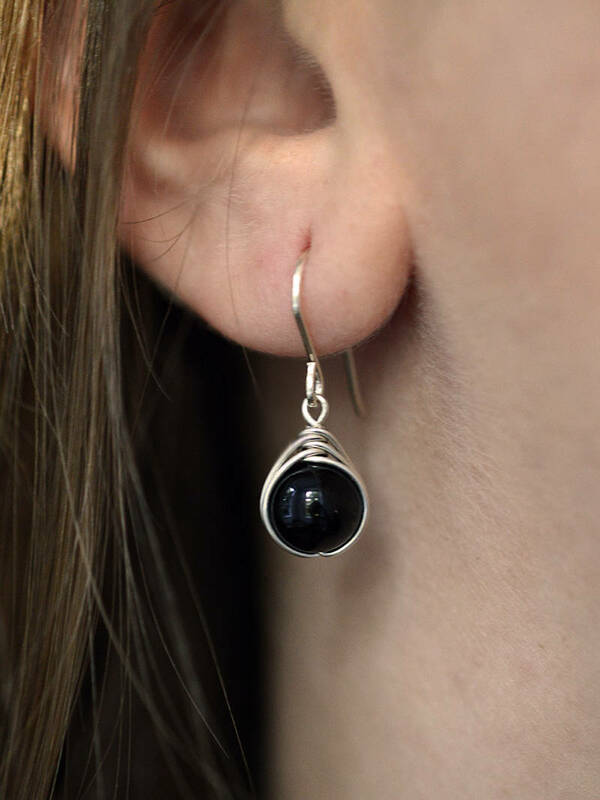 Onyx is a birthstone for those born under the sign of Leo, so a perfect gift for anyone with this sign! I now have 3 pairs of these style earrings from Ivy Bee. they are all beautiful and always get lots of compliments! Excellent service & very speedy delivery. Definitely recommended.